Congressional opponents of Obamacare continue to search for the best approach to relieve the American public of the unpopular law’s burdens. Of course, the ideal solution is Obamacare’s full repeal. However, short of its full repeal, Congress’s best option is to defund the entire law to prevent its implementation. Because the Constitution grants Congress the ultimate “power of the purse,” Congress can refuse to fund Obamacare implementation for the upcoming fiscal year. Such an action would follow a long history of amendments added by Congress to its annual appropriation bills in ways that prohibit executive action. These so-called limitation-of-funds amendments can prevent any expenditure of federal taxpayer dollars. Limitation-of-funds amendments can apply to both mandatory (i.e., entitlement) and discretionary spending. For instance, every year since 1976, Congress has enacted the Hyde Amendment, which has restricted federal funding for abortion coverage in the Medicaid entitlement for nearly four decades—even though this amendment is passed every year as part of discretionary appropriations legislation. Defunding can prevent executive enforcement of Obamacare’s mandates, regulations, and tax increases for as long as the defunding provision remains valid. However, defunding would not change existing law or the regulations regarding Obamacare released to date. In spite of this, full defunding would represent the best interim approach to alleviating the law’s burdens now—with the goal of fully repealing the measure in the future. Senator Ted Cruz (R–TX) introduced the Defund Obamacare Act (S. 1292), and Representative Tom Graves (R–GA) introduced the same legislation in the House as H.R. 2682. Each version of the bill would permanently defund the law’s new entitlements and prohibit Obama Administration bureaucrats from taking any further steps to implement or otherwise advance Obamacare’s objectives. The first provision states that “no federal funds shall be made available to carry out any provisions” of the law. This provision would stop the appropriation of funds with respect to both mandatory and discretionary spending. The blanket prohibition on funding would ensure that all federal agencies and bureaucrats would be prohibited from expending resources toward any action to implement Obamacare—whether issuing rules, meeting with special interest groups, engaging in public relations events, or any other activity related to the law. The bill’s second provision states that “no entitlement to benefits under any provision of [Obamacare] shall remain in effect on and after the date of enactment.” This provision would stop the appropriation of the new entitlement spending for the law’s Medicaid expansion and exchange insurance subsidies. The third provision rescinds all unobligated balances related to Obamacare. This provision would return to the Treasury all funds previously appropriated but not yet spent on Obamacare implementation. Projects that could have their funding revoked under this provision include the hundreds of millions of dollars being spent on “navigators” to enroll individuals in Obamacare programs and promotional activities related to the law that include questionable sponsorships and appearances. The versions of the Defund Obamacare Act introduced in both the House and Senate would permanently defund the health law. However, defunding amendments could also be added to the annual appropriations bills moving their way through Congress. While such defunding amendments would remain in effect only for the life of the spending bills, the amendments could be renewed in future fiscal years, as the Hyde Amendment has been since 1976. Moreover, because appropriations for the current fiscal year expire on September 30, a defunding amendment on “must-pass” legislation funding the federal government would stop Obamacare before its major coverage expansions take effect. Congress has every incentive to take action and defund Obamacare this fall. The law’s exchanges are scheduled to open for enrollment on October 1 and will start accepting applications for subsidized insurance plans taking effect on January 1, 2014. According to the Congressional Budget Office (CBO), next year federal taxpayers will subsidize exchange insurance plans for 6 million Americans and fund a Medicaid expansion covering an additional 9 million enrollees. Over time, spending on Obamacare will explode. The CBO projects that spending on these two new subsidies will grow from $48 billion in fiscal year 2014 to $250 billion in 2023—a more than five-fold increase. The list of Obamacare’s failures grows by the day. It is not that portions of the law are unworkable—the entire law is unworkable. Absent the law’s complete repeal, only full defunding would ensure that the American people are not subjected to any of these destructive policies. Congress can do its part in remedying these failures by using its all-important “power of the purse” to set a very clear line in the sand: not one single dime to fund Obamacare. Alyene Senger, “The Cost of Educating the Public on Obamacare,” Heritage Foundation Issue Brief No. 3983, July 1, 2013, http://www.heritage.org/research/reports/2013/07/public-outreach-on-obamacare-cost-of-educating-the-public-on-health-care-reform. See Chris Jacobs, “Roll Out the Barrels? 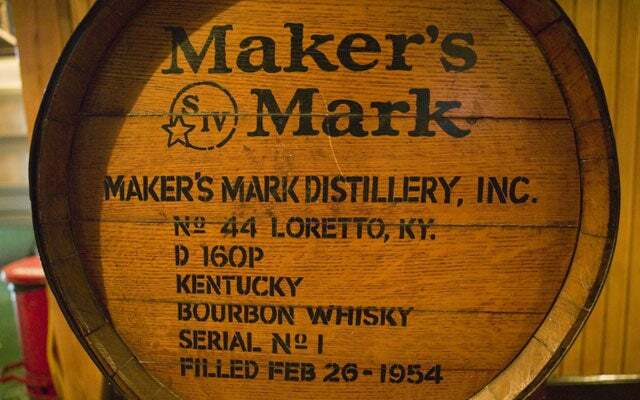 Obamacare Funds to Sponsor Bourbon Festivals,” The Heritage Foundation, The Foundry, July 12, 2013, http://blog.heritage.org/2013/07/12/roll-out-the-barrels-obamacare-funds-to-sponsor-bourbon-festivals-2/. Congressional Budget Office, May 2013 estimate of the budgetary effects of the insurance coverage provisions contained in the Affordable Care Act, table 1, p. 1 http://cbo.gov/sites/default/files/cbofiles/attachments/44190_EffectsAffordableCareActHealthInsuranceCoverage_2.pdf (accessed July 30, 2013). Ibid., table 2, p. 2. See Chris Jacobs, “Obamacare’s ‘Dirty Dozen’ Implementation Failures,” The Heritage Foundation, The Foundry, July 8, 2013, http://blog.heritage.org/2013/07/08/morning-bell-obamacares-dirty-dozen-implementation-failures/. Earlier this month, the Obama Administration—in a 600-plus page regulation—announced that for 2014, Obamacare insurance subsidies will essentially operate on the “honor system.” This will create incentives for fraud, as some applicants may report an income that is actually lower than their true income in order to qualify for the taxpayer-funded subsidy. In most cases, the IRS will not attempt to verify an individual’s income when he or she is applying for subsidies. Supporters of the law claim that the changes will not encourage fraud, because “applicants who receive [subsidies] for which they are ineligible will have to pay them back when they file their taxes.” Unfortunately, that claim isn’t entirely accurate. Some individuals will only face a maximum $2,500 in repayment, while receiving far more in benefits. Before explaining the loophole, some background about the subsidies. Obamacare provides exchange insurance subsidies for Americans who do not have access to “affordable” employer-sponsored health coverage. The subsidies are provided on a sliding scale based on income. Americans with incomes between 138 percent and 400 percent of the federal poverty level (FPL)—between about $31,800 and $94,200 for a family of four—qualify for premium subsidies, and applicants with incomes under 250 percent of the FPL—about $59,000 for a family of four—will also receive additional subsidies to reduce or cover cost-sharing requirements (e.g., deductibles and co-payments). Subsidies will be based on an applicant’s self-reported income at the time of application, meaning that subsidies for 2014 will be calculated based on income reported by applicants in fall 2013. However, the income reported on applications in fall 2013 could vary significantly from income reported on 2014 tax returns, filed with the IRS in spring 2015—either because of a change in life circumstances (e.g., divorce, birth, death, change in job, etc. ), or because an individual misrepresented income on his application. If an individual receives subsidies in error, he will have to pay the subsidies back—but there are limits on the amount individuals will have to repay. Those who should never have received an income-based subsidy—because their income exceeds 400 percent FPL—will have to repay the full amount of the subsidy they received. However, those with incomes under 400 percent FPL—who qualify for some level of subsidy, just not as much as they actually received—will only have to pay back up to $2,500 of the difference between the subsidies they actually received and the subsidies they should have received. It’s this loophole that will encourage fraud—because individuals can gain more in benefits than they will have to repay, by understating their income. Take an example of an honest family of four—two adults, both aged 40, and two children—with income of $90,000 (just under 400 percent FPL). According to the Kaiser Family Foundation’s subsidy calculator, this family would receive a subsidy of $2,997 to help them pay for insurance. That insurance would carry with it maximum out-of-pocket expenses of $12,700, meaning that the family’s health care costs could not exceed $12,700 for the year. Compare that scenario to what happens if the same family were to be dishonest and report income of only $35,000—or just above 138 percent FPL—on their application. According to the Kaiser calculator, the family would receive a subsidy of $10,175 to pay for insurance. That’s $7,178 in taxpayer-funded insurance subsidies over the $2,997 they should have received if they were honest. In addition, the family would also qualify for reduced cost-sharing limits within their insurance plan—their out-of-pocket expenses could total no more than $4,500 per year, because additional federal subsidies would reduce their cost-sharing limits. That’s an additional $8,200 in cost-sharing assistance from federal taxpayers ($12,700 minus $4,500), depending on their annual medical expenses. Yet under current law, the family would only have to repay a maximum of $2,500 of these improperly obtained premium and cost-sharing subsidies—meaning they would benefit by thousands of dollars, and potentially more than $10,000, by mis-stating their income on their exchange application. To sum up: Individuals with incomes below 400 percent FPL will not have to pay back the entire amount of any subsidies received improperly. In many of these cases, individuals will receive more in benefits than they will have to repay the federal government. Therefore, as long as they will qualify for some subsidy, dishonest individuals have incentive to fudge their income so they receive the maximum subsidy—in order to maximize the benefits they receive. These warped incentives, combined with massive bureaucracy where the right hand doesn’t know what the left hand is doing, are simply more reasons why Congress should refuse to spend a single dime funding Obamacare. UPDATE: Americans in states that choose to expand Medicaid with incomes under 138 percent of poverty, and Americans in states that do not choose to expand Medicaid with incomes under 100 percent of poverty, will qualify for premium subsidies. The panel meets in secret, is controlled by special interests, and helps determine the allocation of nearly $100 billion in federal health care spending. Is it some clandestine panel created by Obamacare? Hardly. It’s a panel controlled by the American Medical Association (AMA)—and, as The Washington Post reported in a front-page article yesterday, it has been micro-managing the way Medicare pays physicians for nearly a quarter-century. The panel is just one part of the complex bureaucratic machinery that sets Medicare physician payment enacted by Congress in 1989. Instead of payment set by the free market forces of supply and demand, the panel assigns “value” to different medical procedures. So, in theory, a doctor performing an hour-long surgery should be paid four times as much as a physician undertaking a 15-minute procedure. In practice, however, the process is far from straightforward. As the Post article demonstrates, the panel operates with virtually no public transparency, little government oversight, and a structural bias toward specialty physicians over primary care procedures. Curiously, in 1989 one of the arguments advanced for this payment system is that it would rectify the bias against primary care doctors. Worse than the inaccuracies in the current payment system is the premise underlying it: That the Medicare bureaucracy and its group of “experts” can determine the “right” price of nearly every service performed by physicians nationwide. Later this afternoon, the House Energy and Commerce Committee will begin its markup of Medicare physician payment legislation. While the legislation would revamp the process for setting Medicare reimbursements, as a Heritage Backgrounder released last week demonstrates, it does not represent fundamental reform of the Medicare program. Instead, many of the same medical specialty societies that have abused the current rate-setting process would receive new powers to control patient care—by setting guidelines that physicians must follow and cutting doctors’ pay if they do not. True reform of the Medicare program would use a premium support system and market forces to unleash competition that will drive down health costs. Getting the federal government out of the price-control business would allow innovative reimbursement solutions to take root. This is the issue:… whether we believe in our capacity for self-government or whether we abandon the American Revolution and confess that a little intellectual elite in a far-distant capital can plan our lives for us better than we can plan them ourselves. When revamping Medicare physician payment, Congress has the opportunity to take power away from that “little intellectual elite” and should not hesitate to do so. And, rather than attempting to empower other bureaucratic entities to micromanage the health system, it should return that power back to the place where it belongs—with the people themselves. The process for determining subsidy eligibility could require 21 different steps, involving at least five separate entities—the Social Security Administration, the Department of Homeland Security, the Department of Health and Human Services, the Internal Revenue Service, and state exchanges—and utilizing a process called the Income and Family Size Verification Project. Given this bureaucratic nightmare, it’s little wonder that another report from government auditors released last month said that “critical” deadlines to create the Obamacare exchanges had been missed. Nor should any be surprised that yesterday, Treasury’s inspector general for tax administration testified it “is concerned that the potential for refund fraud and related schemes could increase” due to Obamacare. Yet the Obama Administration believes spending more money will solve the problem. Just for the IRS implementation of Obamacare, the Administration requested $439.6 million for nearly 2,000 bureaucrats. If a picture is normally worth a thousand words, the Obamacare chart above should be worth trillions. Because Congress—seeing that Obamacare is not just too big to fail, but too big to succeed—should refuse to spend a single dime implementing this behemoth of a health care law. A PDF of this Backgrounder can be found on the Heritage Foundation website. Congress may soon revisit the issue of Medicare physician reimbursement payment. Much of the legislative discussion will focus on the sustainable growth rate (SGR) formula. The SGR was enacted as part of the Balanced Budget Act in 1997 as a mechanism to update yearly Medicare physician reimbursements. Under that formula, the federal government computes an annual target for Medicare physician spending based in large part on annual changes in economic growth as measured by gross domestic product (GDP). Physician spending exceeding the growth in GDP in any given year will result in a proportional and automatic cut in Medicare physician reimbursement the following year. In theory, the SGR was a major improvement over the volume control updates that Congress enacted in 1989. In practice, the SGR mandated deep and politically unacceptable cuts in future years’ Medicare payments. The reason: Physician spending routinely exceeded annual targets. It was quickly becoming clear that the SGR was unworkable. Since 2003, majorities in Congress have routinely blocked the fundamentally flawed SGR formula from going into effect because the applicable cuts would threaten seniors’ access to care. For 2014, the formula calls for a Medicare physician reimbursement cut of almost 25 percent. Not surprisingly, many policymakers have concluded that the SGR must be repealed or replaced. A Chance for Real Reform. The House Energy and Commerce Committee recently released a revised discussion draft of legislation regarding physician payment, on the heels of a statement of principles initially released by the House Ways and Means and the Energy and Commerce Committees in February. Likewise, the chair and Ranking Member of the Senate Finance Committee recently issued a request for “stakeholder” comment about the future of physician payment. While Congress’s immediate focus on the SGR is right and proper, it should not be shortsighted. The SGR is merely representative of a much larger problem: Medicare’s outdated system of administrative pricing, price controls, and inefficient central planning. This system both underpays and overpays doctors and other medical professionals, encourages cost shifting and gaming among providers, distorts the medical market, and undercuts the delivery of efficient and effective care. The overriding policy issue is whether Congress will view the SGR narrowly, as something to be “fixed”; or whether the debate can be the platform for a broader discussion of the need for a much better Medicare future, where administrative pricing is replaced by price competition, central planning is replaced by market-driven innovation, and the delivery of high-quality patient care is the product of the best professional judgment of members of the medical profession. The ultimate policy objective, therefore, should be to transform Medicare into a defined-contribution (“premium support”) system, based on the free-market principles of consumer choice and competition—a system where medical services are priced through private negotiations between plans and providers, reflecting the true market conditions of supply and demand. In the meantime, as part of a transition to such a program, Medicare physician payment should be frozen at current levels for three to five years. Any additional costs to the taxpayer should be offset by savings from well-vetted reforms of the current program, plus a lifting of existing payment caps, a requirement for transparent pricing, and expanded options for doctors and patients. The SGR mechanism, as noted, links aggregate Medicare payment to changes in the general economy as measured by GDP. If spending exceeds the GDP target, the SGR adjusts physician reimbursements downward; if spending remains below target, the SGR increases physician reimbursements accordingly. By linking specific Medicare payments to the general performance of the economy, Congress established a fiscal target bearing little resemblance to the actual cost of medical goods and services. Other targets, such as the consumer price index (CPI) or the medical economic index, provide a clearer link to price inflation and general health cost growth. Moreover, the SGR’s explicit link to the size of the economy means that in economic downturns, the target—and thus physician reimbursement levels—will actually decline. The fact that the SGR remains an aggregate spending target also presents a collective action problem for the Medicare program. Because the SGR targets physician spending as a whole, and not the spending patterns of individual physicians or physician practices, individual doctors have a strong incentive to maximize their own volume of services performed, and thus their own reimbursement levels. For all these reasons, Congress has consistently modified the SGR targets over the past decade. While the slowdown in health costs surrounding the move to managed care plans in the late 1990s prevented the SGR targets from being hit in the program’s first few years, spending soon exceeded the statutory targets. Although Congress allowed the SGR’s reimbursement cuts to take effect in 2002, in 2003 (and each year since) Congress overrode the statutory reductions with a series of freezes, or modest payment increases, in SGR target levels. The annual, albeit temporary, payment increases mandated by Congress since 2003 have resulted in a series of fiscal cliffs for physicians and the Medicare program. Because prior Congresses overrode the SGR targets only for short periods, doctors have faced the prospect of increasingly large reimbursement cuts should Congress not forestall the reimbursement cuts. For instance, should Congress not act before January 1, 2014, the SGR will reset at its lower, statutory target, resulting in an immediate reduction in reimbursement levels of over 24 percent, with additional cuts in succeeding years. According to the Congressional Budget Office (CBO), permanently freezing SGR target levels would cost $139.1 billion over 10 years—a significant sum, but about half the $273.3 billion that the CBO estimated an SGR freeze would cost in July 2012. As a mechanism to contain costs, therefore, the SGR has fallen short. While physicians have received below-inflation updates in Medicare payment levels since 2003, evidence strongly suggests that doctors have compensated for these lower reimbursement levels by increasing the volume of services provided. According to data from the Medicare Payment Advisory Commission, while physician updates grew by less than 10 percent between 2000 and 2011, overall physician spending per beneficiary grew by more than 70 percent over the same period, largely because the volume of services provided to beneficiaries rose rapidly. However, as a mechanism to control overall spending on Medicare, the SGR has provided an impetus for re-examining spending priorities within other portions of the Medicare program. While generally ineffective at controlling physician spending, the annual SGR target has nonetheless forced Washington policymakers continually to re-examine overall Medicare spending, and encouraged continued debate on structural Medicare reform as well as generated intense discussion on incremental but meaningful reforms in the current program. Members of Congress have generally insisted on paying for the annual “fixes” to the SGR, as such legislation would otherwise raise Medicare spending and increase the deficit. In 2009, the Senate considered legislation that would have permanently increased Medicare physician reimbursements without offsetting spending reductions. When confronted with an unpaid “doc fix,” a bipartisan majority of 53 Senators rejected this legislation, which would have increased federal deficits by $247 billion over 10 years, and up to $1.9 trillion over 75 years. Over and above the basic principle that Congress should not increase Medicare spending at a time of record deficits, the SGR has provided a vehicle to enact modest reforms to the Medicare program on an annual basis. For instance, legislation addressing the “fiscal cliff” expanded Medicare competitive bidding to diabetes supplies, and enacted new anti-fraud measures, to help finance a one-year “doc fix” for 2013. When considering SGR legislation this year, Congress must balance the competing interests of the physician community and the Medicare program as a whole. While the SGR has not slowed cost growth, and the annual “doc fix” exercise has caused uncertainty for physicians, the Medicare program as a whole faces massive deficits—the Medicare trust fund lost $105.6 billion over the past five years, deficits that are expected to continue and accelerate as the baby-boom generation retires. Simply repealing the SGR without fundamentally reforming Medicare would have significant unintended consequences for future taxpayers and beneficiaries alike. More or Less Government Control Over Medical Practice? Designing a replacement for the SGR formula brings with it many of its own problems. Proposals to replace the SGR with a system of reimbursing doctors based on quality measures—“pay for performance,” for example —will necessitate an even stronger role for the Medicare bureaucracy in dictating physician behaviors than the current flawed system. Well before the creation of the SGR mechanism for updating reimbursement, Medicare physician payment has, over the past 25 years, been defined by the heavy hand of bureaucratic micromanagement. In 1989, Congress enacted a resource-based relative value system (RBRVS) for determining physician payments, which focused on determining the “right” payment for a particular service by calculating the cost of performing that service when compared to other services. Based on a “social science” measurement, the RBRVS attempted to quantify the “value units” of providing medical services, such as the time, energy, and effort that goes into providing a medical service, adjusted by geographic costs and malpractice expenses. A patient with a simple ear infection would require different amounts of a physician’s time than a patient with chronic heart failure, for example, and the RBRVS intended to compensate doctors “fairly” for each service. Organized medicine, particularly the American Medical Association, initially endorsed the new fee schedule as a way of redistributing income from high-priced specialists to lower-paid general practitioners. In theory, the RBRVS was widely hailed by its proponents as a “scientific” answer to the perennial problem of physician payment. In practice, the result has been a highly politicized process of rent-seeking, as lobbyists of different provider groups feverishly scrambled to secure higher reimbursements through the political process. However well-intentioned, the past quarter century has demonstrated the failure of the RBRVS as an accurate method of compensating physicians who participate in Medicare. Even as the federal government attempts to find the “right” price of every physician service, it has seemingly failed to remember the value of any of them. Unsurprisingly, the creation of more than 7,000 separate procedure codes has not ensured that nearly 850,000 Medicare providers are being compensated fairly for their services. Indeed, the RBRVS has failed in one of its central goals: Created 25 years ago to help increase the relative value of allegedly underpriced primary care services, the RBRVS system has only exacerbated price disparities between primary and specialist care. Pay for Performance or Compliance? Generally speaking, the new theory of pay-for-performance medicine attempts to determine physicians’ “value” and thus reimbursement through compliance with, and performance on, a series of metrics and guidelines determined by federal bureaucrats, medical societies, or a combination of the two. For instance, the House’s discussion draft discusses an “update incentive program” under which the Secretary of Health and Human Services (HHS) would be required to publish a “competency measure set” of quality measures, and then “develop and apply…appropriate methodologies for assessing the performance of fee schedule providers” on those measures. For example, Obamacare mandates a 2 percent reduction in Medicare physician payments for doctors that do “not satisfactorily submit data” to Washington officials, and a 1 percent reduction for physicians who fail to follow bureaucrat-defined “cost” metrics. In separate legislation also signed by President Obama, the Administration received the authority to reduce payments to physicians by a further 3 percent if they do not follow Washington-imposed guidelines for electronic health records. Nothing in this title shall be construed to authorize any federal officer or employee to exercise any supervision or control over the practice of medicine or the manner in which medical services are provided, or over the selection, tenure, or compensation of any officer or employee of any institution, agency, or person providing health services; or to exercise any supervision or control over the administration or operation of any such institution, agency, or person. The threshold question is this: Should government officials “exercise any supervision or control” over the practice of medicine? It matters not whether some physicians choose to comply with Washington’s mandates on their practices, or whether some leaders of some specialty societies see value in serving as arbiters of some new Medicare pay-for-performance structure. Under the original Medicare statute, all physicians should have the freedom to practice medicine using their own professional judgment in treating a patient, without meddling—whether in the form of new federal mandates, “quality” metrics, or other bureaucratic criteria—from either the federal government or its intermediaries. The flaws in Medicare’s pay-for-performance approach have been well defined elsewhere. The myriad regulations and mandates that such criteria spawn interfere in the practice of medicine, placing an invisible barrier amid the already attenuated relationship between doctor and patient. Worse, the one-size-fits-all methodologies imposed by Washington-enforced mandates directly contradict the great promise of the growing movement toward personalized medicine. We won’t be able to make a significant dent in health-care spending without getting into the nitty-gritty of which treatments are the most clinically valuable and cost effective. That means taking a harder look at the real costs and benefits of new drugs and procedures. Obamacare epitomizes this governing philosophy of administrative control, giving the Secretary almost 2,000 separate orders with which to micromanage the health care system. Members of Congress who rightly criticized Obamacare for granting the Secretary nearly unprecedented discretionary authority over the financing and delivery of medical care should be greatly concerned with enacting SGR replacement legislation that would further expand the Secretary’s control. As it has since 2003, Congress likely will consider legislation later this year addressing the deep cut mandated by the SGR formula. Absent changes in current law, a cut of nearly 25 percent will take effect on January 1, 2014. Based on the proposals released to date, leaders on key committees intend to use this year’s legislation to construct a permanent replacement for the SGR, with a new reimbursement model heavily focused on quality metrics. The goal of securing a higher quality of services for taxpayer dollars is clearly laudable. But Congress should remain mindful of the consequences of additional intrusion in the doctor–patient relationship, and of the fact that the SGR constitutes merely one piece of a larger entitlement structure in need of fundamental reform. Reject any provisions that micromanage the doctor–patient relationship. Whether under the name of pay-for-performance, clinical guidelines, or quality metrics, programs emphasizing physician compliance with government-imposed standards are inconsistent with the original intent of the Medicare statute, which safeguards the professional independence and integrity of the medical profession and sacrosanct character of the doctor–patient relationship. Placing additional authority in the hands of government bureaucrats to dictate the practice of physicians undermines these principles as well as patient trust. Restore balance billing and the right to private contracting. Consistent with a return to free-market principles, Congress should remove the current statutory prohibitions on balance billing—when doctors bill patients for the part of the health-service charge not reimbursed by Medicare—while also repealing the oppressive restriction that prohibits doctors who engage in any transactions with beneficiaries outside Medicare’s parameters from receiving Medicare reimbursements for two years. Keeping the heavy hand of government out of the doctor–patient relationship requires removing regulatory restrictions that prevent senior citizens from engaging physicians on financial terms that both find fair and advantageous. When coupled with transparency guidelines ensuring that seniors clearly understand the prices and the terms of these contractual arrangements, balance billing and private contracting can remove many of the financial pressures imposed by Medicare’s top-down, government-dictated pricing system. Insist that fundamental, long-term SGR reform be paired with fundamental, long-term Medicare reform. Experts on all sides of the political spectrum agree that the flawed SGR mechanism should be replaced. The best replacement for the SGR and the entire system of current Medicare financing lies in a defined-contribution (premium support) system that fundamentally reforms and enhances the entire Medicare program. In the short term, Congress can take several important incremental steps to re-structure the traditional Medicare program as part of a transition to a premium support system. However, Congress should not attempt to enact a fundamental change to the SGR coupled solely with incremental reforms to the larger Medicare program. To do so would remove an impetus for the major structural reforms that Medicare needs in order to ensure its solvency for future generations. Congress once again appears poised to grapple with a problem of its own making—namely, the SGR formula for physician reimbursement. Members in both the House and Senate have solicited proposals for alternatives, and have committed to considering SGR proposals this year. However, when constructing alternatives to the SGR, Congress should heed the lessons of experience. The system of administrative pricing for Medicare physician payment, in effect for nearly 25 years, has proven cumbersome, bureaucratic, and unworkable. Moving further in the direction of pay-for-performance medicine, as some proposals have suggested, would merely substitute medical societies for the role currently played by omnipotent government bureaucrats, attempting to impose one-size-fits-all medical care from Washington. Conversely, while the SGR has not succeeded in its initial goal of containing Medicare physician spending, the perennial “doc fix” bills have forced Congress to enact changes in the Medicare program, many of which constituted real progress in reforming entitlement spending. Completely repealing or replacing the SGR, without first ensuring fundamental reform of the entire Medicare program, would actively subvert attempts to make the program sustainable for future generations. The SGR debate presents Members of Congress with both an opportunity and a challenge. The opportunity lies in enacting reforms that can expand market forces in Medicare and enhance the program’s viability. The challenge lies in resisting the siren call that yet another form of federally micromanaged health care can succeed when all past iterations have failed. Seniors and future generations should hope that Congress chooses to embrace the opportunity and rise to the challenge. House Energy and Commerce Committee discussion draft of Medicare physician payment legislation, June 28, 2013, http://energycommerce.house.gov/sites/republicans.energycommerce.house.gov/files/BILLS-113hr-PIH-SGRreform.pdf (accessed July 11, 2013). House Energy and Commerce Committee and Ways and Means Committee joint framework for Medicare physician payment reform, “Overview of SGR Repeal and Reform Proposal,” February 7, 2013, http://energycommerce.house.gov/sites/republicans.energycommerce.house.gov/files/20130207SGRReform.pdf (accessed July 11 2013). News release, “Baucus, Hatch Call on Health Care Providers to Pitch in and Provide Ideas to Improve Medicare Physician Payment System,” U.S. Senate Committee on Finance, May 10, 2013, http://www.finance.senate.gov/newsroom/chairman/release/?id=fba99c75-981f-4917-9836-ae49d47453a1 (accessed July 11, 2013). Mark Miller, “Moving Forward from the Sustainable Growth Rate (SGR) System,” testimony before the Finance Committee, U.S. Senate, at a hearing on “Advancing Reform: Medicare Physician Payments,” May 14, 2013, p. 2, http://www.finance.senate.gov/imo/media/doc/MedPAC%20SGR%20testimony%20with%20attachments_SFC_5%2014%202013.pdf (accessed July 11, 2013). The full list of statutory adjustments to the SGR conversion factor enacted by Congress since 2003 can be found in amendments to the United States Code, 42 U.S.C. 1395w-4(d)(5) et seq. Beginning with the Tax Relief and Health Care Act of 2006 (P.L. 109–432), Congress provided that temporary payment increases overriding the SGR cuts would not be used in setting the SGR targets for future years—thus ensuring a “cliff” when the target re-sets at the lower level. The Centers for Medicare and Medicaid Services has estimated a preliminary SGR conversion factor update of 24.4 percent for calendar year 2014. Centers for Medicare and Medicaid Services, “Estimated Sustainable Growth Rate and Conversion Factor for Medicare Payments to Physicians in 2014,” April 2013, p. 8, Table 5, http://www.cms.gov/Medicare/Medicare-Fee-for-Service-Payment/SustainableGRatesConFact/Downloads/sgr2014p.pdf (accessed July 11, 2013). Congressional Budget Office, “Medicare’s Payments to Physicians: The Budgetary Impact of Alternative Policies Relative to CBO’s May 2013 Baseline,” May 14, 2013, http://cbo.gov/sites/default/files/cbofiles/attachments/44184_May_2013_SGR.pdf (accessed July 11, 2013). Congressional Budget Office, “Medicare’s Payments to Physicians: The Budgetary Impact of Alternative Policies Relative to CBO’s March 2012 Baseline,” July 31, 2012, http://cbo.gov/sites/default/files/cbofiles/attachments/43502-SGR%20Options2012.pdf (accessed July 11, 2013). Miller, testimony before Finance Committee, U.S. Senate, Figures 1 and 2, p. 4. Medicare Physician Fairness Act of 2009, S. 1776 (111th Congress). Senate Roll Call 325 of 2009, October 21, 2009, http://www.senate.gov/legislative/LIS/roll_call_lists/roll_call_vote_cfm.cfm?congress=111&session=1&vote=00325 (accessed July 11, 2013). Congressional Budget Office, cost estimate for S. 1776, October 26, 2009, http://cbo.gov/sites/default/files/cbofiles/ftpdocs/106xx/doc10674/s1776greggltr.pdf (accessed July 11, 2013). Andrew Rettenmaier and Thomas Saving, “How the Medicare ‘Doc Fix’ Would Add to the Long-Term Medicare Debt,” Heritage Foundation WebMemo No. 2695, November 13, 2009, http://www.heritage.org/research/reports/2009/11/how-the-medicare-doc-fix-would-add-to-the-long-term-medicare-debt. American Taxpayer Relief Act of 2013, Public Law 112–240, Sections 636 and 638. Centers for Medicare and Medicaid Services, 2013 Annual Report of the Boards of Trustees of the Federal Hospital Insurance and Federal Supplementary Medical Insurance Trust Funds, May 31, 2013, p. 58, Table II.B4, http://www.cms.gov/Research-Statistics-Data-and-Systems/Statistics-Trends-and-Reports/ReportsTrustFunds/Downloads/TR2013.pdf (accessed July 11, 2013). Section 6102 of the Omnibus Budget Reconciliation Act of 1989, Public Law 101–239, established a Medicare physician fee schedule based on the RBRVS, effective in January 1992. Robert E. Moffit, “Back to the Future: Medicare’s Resurrection of the Labor Theory of Value,” Regulation (Fall 1992), pp. 54–63. Medicare Payment Advisory Commission, Report to the Congress: Medicare Payment Policy, March 2013, p. 79, http://medpac.gov/documents/Mar13_EntireReport.pdf (accessed July 11, 2013). House discussion draft, pp. 3–5. Centers for Medicare and Medicaid Services, 2013 Annual Report of the Boards of Trustees of the Federal Hospital Insurance and Federal Supplementary Medical Insurance Trust Funds, p. 2. Patricia A. Davis et al., “Medicare Provisions in PPACA (P.L. 111–148),” Congressional Research Service Report for Congress No. R41196, April 21, 2010, http://assets.opencrs.com/rpts/11-148_20100421.pdf (accessed July 12, 2013). Patient Protection and Affordable Care Act, Public Law 111–148, Section 3002(b). American Recovery and Reinvestment Act, Public Law 111–5, Section 4101(b). Richard Dolinar and Luke Leininger, “Pay for Performance or Compliance? A Second Opinion on Medicare Reimbursement,” Heritage Foundation Backgrounder No. 1882, October 5, 2005, http://www.heritage.org/research/reports/2005/10/pay-for-performance-or-compliance-a-second-opinion-on-medicare-reimbursement. Tom Daschle, Scott Greenberger, and Jeanne Lambrew, Critical: What We Can Do about the Health Care Crisis (New York: Thomas Dunne Books, 2008), pp. 172–173. Michael Leavitt, “Health Reform’s Central Flaw: Too Much Power in One Office,” The Washington Post, February 18, 2011, http://www.washingtonpost.com/wp-dyn/content/article/2011/02/17/AR2011021705824.html (accessed July 11, 2013). For further information on the HHS Secretary’s powers, see John S. Hoff, “Implementing Obamacare: A New Exercise in Old-Fashioned Central Planning,” Heritage Foundation Backgrounder No. 2459, September 10, 2010, http://www.heritage.org/research/reports/2010/09/implementing-obamacare-a-new-exercise-in-old-fashioned-central-planning. Section 4507 of the Balanced Budget Act, Public Law 105–33. President Obama is scheduled to make an address talking about Obamacare this morning. He’s expected to claim that Obamacare is working to lower premiums. There’s only one problem with that claim: His math doesn’t add up. Let’s look at the facts. In 2008, then-Senator Obama promised premiums would go down under his plan by $2,500 per family per year. But the non-partisan Congressional Budget Office estimated in 2009 that Obamacare would raise premiums on the individual health insurance market by $2,100 per family per year by 2016. Costs for a middle-of-the-road insurance policy average roughly $321 per month across the 11 states that have released their rate filings for next year, administration officials said — compared with initial estimates of $392 per month. There’s one big problem with that claim: Premiums won’t actually go down—the increases will just be lower than expected. If premiums are $71 per month ($392 minus $321), or $852 per year, lower than CBO first estimated, that still leaves them nearly $1,250 higher than they would have been without Obamacare. Remember: CBO said individual health insurance premiums would go up by $2,100 per family. Even if premiums are going up by less than expected, they’re still going up—in violation of Obama’s 2008 campaign promise. The administration is comparing the cheapest policy in the middle tier of benefits to estimates for the second-cheapest policy — not quite applies-to-oranges, and also not a direct comparison. Additionally, next year’s premium rates themselves are based on the assumption that enough young and healthy individuals will enroll in Exchanges to offset the cost of older, sick enrollees. If Exchanges get stuck with only individuals whose health costs are greater-than-expected—either because only sick individuals enroll, or because employers struggling with high health costs dump their workers into the exchanges—premium costs could explode in future years. That’s exactly what happened with Obamacare’s pre-existing condition insurance plan—enrollees’ health costs were greater than expected, such that the program had to take drastic measures to avoid depleting its $5 billion allotment early. The bottom line: Then-Senator Obama promised a $2,500 premium decrease. Nothing released today shows that Obamacare is within a country mile of delivering on that promise. And the fact that Obamacare has failed to deliver on its central promise is yet another reason why Congress should refuse to spend a single dime on this law. It’s not every day that union bosses sound like conservative policy experts. But the beginning of the Obamacare letter from the heads of three major unions—the Teamsters, the United Food and Commercial Workers, and UNITE-HERE—to Senator Harry Reid (D-NV) and House Minority Leader Nancy Pelosi (D-CA) is eerily similar to our experts’ writings. Naturally, it’s on the question of solutions that we diverge from the unions. The union leaders’ “solution” to these problems involves yet more government spending. They want to make union-run health plans eligible for Obamacare’s subsidies—subsidies that were supposed to go to people with no health coverage. In other words, increase taxpayer spending even more because of the consequences of bigger government. Even the law’s strongest supporters aren’t buying it any more. I briefly scanned a schedule of upcoming mobile tour events and below few [sic] that are attended by a large number of young people: regional sporting events, such as the Lexington Legends and Louisville Bats games; the Goettafest and Riverfest in Newport and Covington; the Kentucky Bourbon Festival in Bardstown, Ky.; the Bourbon Chase; Oktoberfest in Newport; the Bourbon and Blues Festival in Owensboro; a couple of half marathons in various locations; the Iron Man competition, etc. We also expect that Navigators will be doing outreach on college campuses. The ironies abound in this announcement. Last year, the New York Post reported that New York City Mayor Michael Bloomberg proposed using community transformation grant funds from Obamacare to “reduc[e] alcohol retail outlet density and illegal alcohol.” So as Kentucky is using Obamacare funds to promote alcohol consumption, New York City wants to use Obamacare funds to discourage it. Apparently, the left hand doesn’t know what the far-left hand is doing. Second, alcohol abuse costs taxpayers billions of dollars every year. A 2011 Centers for Disease Control study found that alcohol abuse cost federal, state, and local taxpayers a total of $94.2 billion each year. To the extent that these Obamacare promotional activities encourage alcohol abuse, they will inevitably impose new burdens on taxpayers—and raise overall health costs, contradicting the law’s stated purpose. Just as important, these types of theatrical “marketing” activities represent a misuse of taxpayer dollars at a time of record debt and deficits. Congress should tell the Administration to stop handing out Obamacare grants like drunken sailors and refuse to spend a single dime funding Obamacare.